Addis Ababa (HAN) July 27, 2014. Environmental-Economic issues. The Federal government of Ethiopia launched its 2025 strategy to deliver green economic growth for the region-Horn of Africa. Ethiopia launched its Climate Resilient Green Economy (CRGE) Strategy in November 2013 as a central element in its ambition to become a low carbon middle income economy by 2025. This will develop a green economy to enable the country to strengthen its adaptive capacity to the effects of climate change; its intent to become a “green economy front runner” is an expression of both its potential for and its belief in a sustainable mode of growth. Ethiopia, in fact, is fully aware of the impediments that conventional development paths cause by their unsustainable use of natural resources. It has over the few years registered unprecedented and continuous growth as a result of policies and strategies carefully tailored to respond efficiently to the existing socio-economic context. The Climate Resilient Green Economy strategy is yet another positive step to resist the adverse effects of such problems as climate change and build an economy that will provide sustainable development. 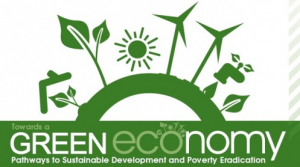 To tackle the challenges of global climate change and related problems, the government has identified four major economic pillars to underpin the ‘Green Economy’ strategy. These are: improving crop and livestock production practices to allow for better food security and higher farmer incomes while reducing greenhouse emissions; protecting and re-establishing forests for their economic and ecosystem value, specifically including an increase in carbon stocks; expanding electricity generation from renewable sources of energy for domestic and regional markets; and leapfrogging to modern and energy-efficient technologies in the transport, industrial and construction sectors. Establishing these parameters for the relevant parts of the economic development plan id preventing the economy from being locked into any unsustainable paths, and will also help to attract the investment required for their development. Additionally, as part of this strategy, the government has selected four areas for fast-track implementation: exploiting Ethiopia’s vast hydropower potential; large-scale promotion of advanced rural cooking technologies to minimize the use of charcoal; large scale efficiency improvements to the livestock value chain; and reducing emissions from deforestation and forest degradation (REDD). Conventional farming in Ethiopia is characterized by land expansion and soil erosion and high carbon emissions. What is now needed are methods of production which provide sustainable development and effective use of natural resources without resorting to traditional practices. The ‘Green Economy’ strategy plans to realize this by intensifying agricultural output through use of improved inputs and better management, the introduction of low-emission agricultural techniques, increasing the value of the animal production chain, improving the efficiency of production, consuming different sources of protein, introducing mechanical equipment for ploughing to replace at least 50% of animal draft power, and managing rangeland to manage its carbon content and improve the productivity of the land. The strategy focuses on protecting and re-establishing forests for their economic value and for their importance to the ecosystem including their use as carbon stocks. It takes into consideration the fact that deforestation and forest degradation must be reversed to support the continued provision of the services and growth within the GDP. In order to develop sustainable forestry and reduce fuel wood demand, the strategy therefore covers a reduction in the demand for fuel wood through the distribution and use of fuel-efficient stoves and/or alternative-fuel cooking and baking techniques, increasing afforestation and reforestation, expanding forest management to increase carbon sequestration in forests and woodlands, and closing off certain areas for the rehabilitation of degraded pastureland and farmland, leading to enhanced soil fertility and so ensuring additional carbon sequestration. On power, the emphasis lies in expanding electricity generation from renewable energy sources for domestic and regional markets. Power production in Ethiopia currently has been low because the inputs have been largely from renewable energy resources, and developing the necessary electric power capacity from renewable energy is an enormous challenge. The pace of growth required is high. The total investment in expanding electric power generation capacity through 2030 is estimated at approximately US$38 billion over 20 years, around USD 2 billion annually. This requires a doubling of the current expenditure of US$1 billion, and will be achieved by a combination of tariff adjustment, private capital, climate finance and sovereign wealth funds. The latter can be obtained by exporting clean energy to neighboring countries and capturing a share of the monetization that there reduced emissions will produce, or by mobilizing international assistance in the form of grants. Concerning the transport, industrial and construction sectors, the plan to leapfrog to modern and energy-efficient technology is seem as the main means to ensure sustainable development with significantly abated emissions. The potential methods identified in this regard are: the introduction of stricter fuel efficiency standards for passenger and cargo transportation; the purchase of hybrid and electric vehicles to counter the low efficiency of the existing vehicle fleet, and the construction of an electric rail network – powered by renewable energy – to substitute for road freight transport; improve urban transport in Addis Ababa by introducing an urban electric rail network and enabling fast and efficient bus transport, substituting imported fossil fuels with domestically-produced biodiesel and bio-ethanol fuels. In construction and buildings, the plan calls for accelerated transition to high-efficiency light bulbs for residential, commercial, and institutional buildings, the use of landfill gas-management technology to reduce emissions from solid waste, and the reduction of methane production from liquid waste. In the industrial sector, cement production contributes the largest share of emission, and an improved energy efficiency of the process of production is necessary, with more modern technologies and the introduction of computerized energy management and control systems. While contributing to reaching these planned economic and social development targets, the country also has the domestic potential to contribute to the global effort by abating around 250 Mt CO2e by 2030. Compared to conventional development practices this will equal a decrease in GHG emissions of up to 64% by 2030 compared to the all-too-often concept of business-as-usual. Equally, implementing all these initiatives will also provide important additional benefits, including significant improvements in public health through better air and water quality, and the promotion of rural economic development by increased soil fertility and food security. Equally, it must be noted that building a green economy will require an estimated total expenditure of around US$150 billion over the next 20 years. This a formidable figure, but it can be reached. 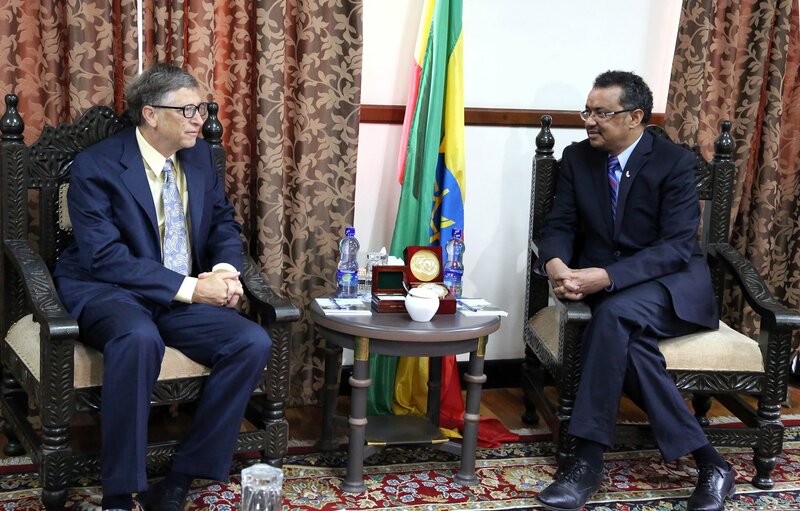 By developing a ‘Green Economy”, Ethiopia will be able to exchange GHG emissions abatement for climate finance to fund some of the required investment. The government intends to attract development partners to help implement this new and sustainable growth model. It welcomes collaboration with domestic and international partners. It appreciates the emerging climate-finance schemes to compensate developing countries for the provision of environmental services to the world, and it acknowledges that bilateral and multilateral development partners as well as the private sector will be invaluable in helping it achieve these undoubtedly ambitious, but certainly achievable, goals.